A peek into the design process. I tried out these beautiful stars from Joan Miller, but it just didn't feel right. Maybe a bit too heavy for this design and I wanted to bring out more of the gold. So I tried some polymer gold glittery balls, but again, just not right for this particular pair. Then I decided to add some links to create some open spaces. Yes! It felt right! 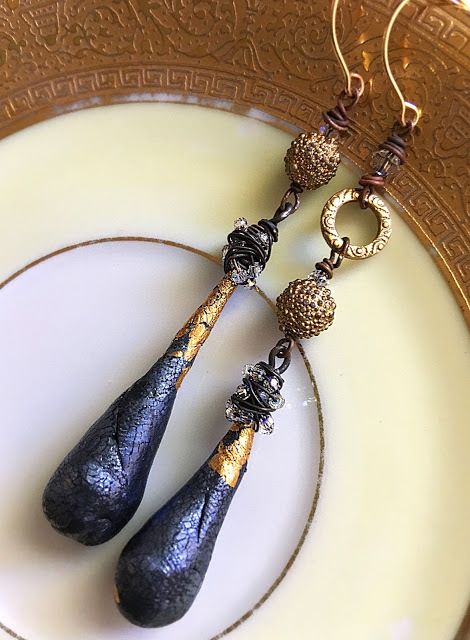 Same with the dark blue/gold, polymer pair. I tried many different sizes and shapes of crystals and different rings. The challenge with this pair was the different length and sizes of the focal components. Asymmetrical designs are a favorite of mine, but each piece brings new challenges to solve. The delicate "neck" of the teardrop shape need a light bead and also I wanted to cover the connector loops for a more cohesive look. 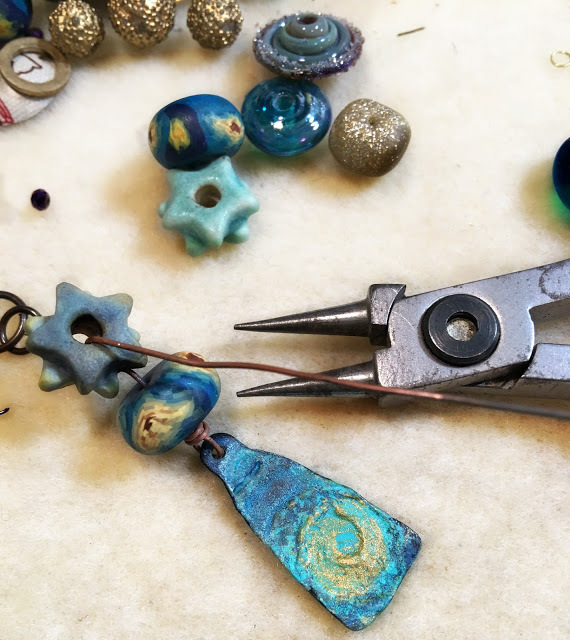 My suggestion is to hang on to ALL of your little bits and pieces from other projects, you never know when they will come in handy! I hope you enjoy looking into the process as much as I do! 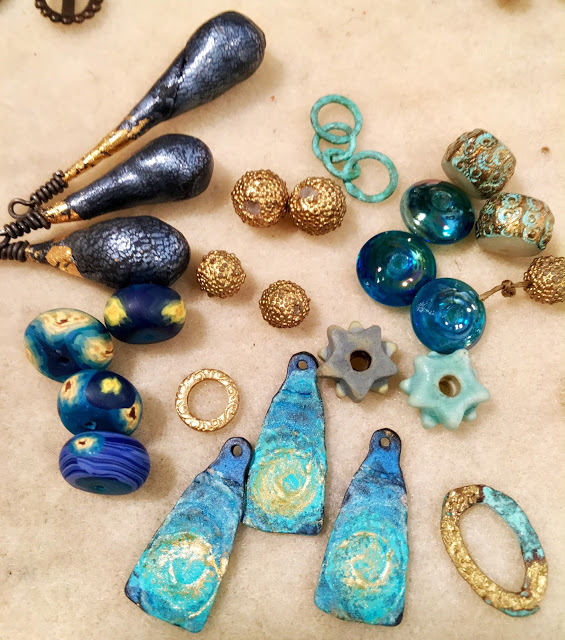 It's been a crazy wonderful week for me Attending Bead & Button! I could use some serious sleep but that will never happen! LOL Hopefully I will have some new exciting things to show you all soon! 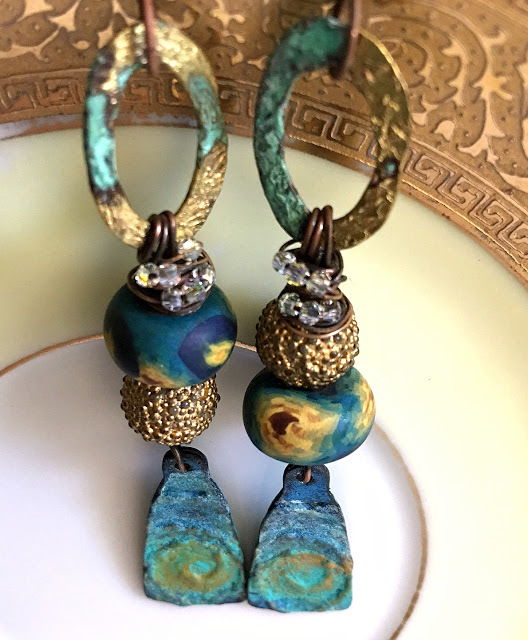 I love these earrings, and it is fun to see your process. Good tip to keep all odds and ends. 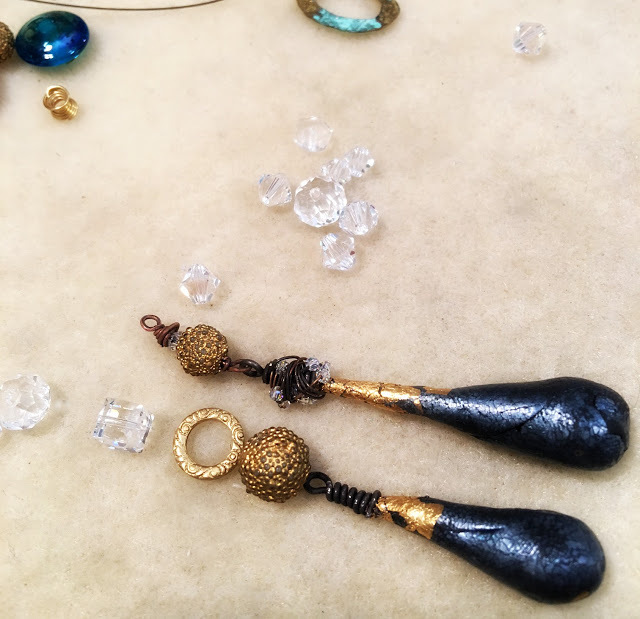 You are inspiring me to be less shiny and explore rustic styles! Thank youuuuu!!! I can't think of a nicer compliment, Michelle! Oh Loralee!! You always put things together in such an amazing way!! Thanks SO much for sharing links to artists you support. Nice to see invicti and humblebeads components! 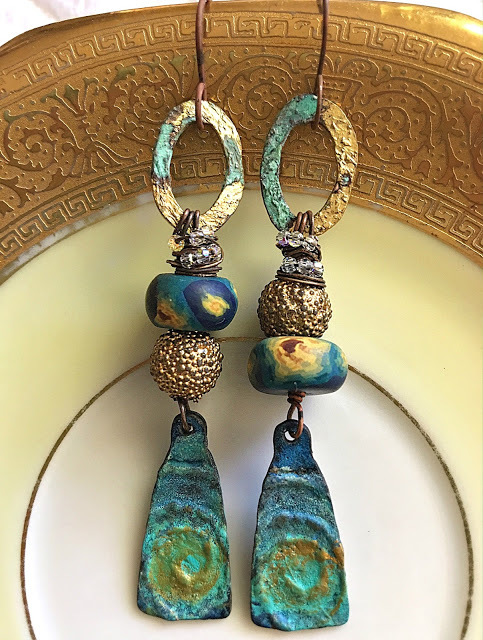 Luv this rustic look, the patina colored elements are awesome thak you for sharing.